Park With Ease this week confirmed they are not competent to run a parking management company as they are issuing tickets even when motorists have paid the correct amount. This is occurring at least at Brockholes Nature Reserve in Preston but may well be happening at all of theor car parks. The motorist appealed on the grounds she had paid her £6 charge. On the 4th September she received a reply stating that PWE had checked their records and that no record of her registration was found. The motorist then contacted Brockholes who checked their records and found someone had paid £6 for a very similar registration at the time in question. The motorist contacted PWE again on 5th September who stated the number was not similar but as a gesture of goodwill they would cancel the charge anyway. On the 12 September PWE contacted the motorist again and stated that having checked the payments made again they found the payment of the correct amount against the right registration. They blamed the problem on a system communication error. How many other motorists have paid the correct amount and still been charged? This problem is not limited to Park With Ease and The Prankster has received large numbers of similar complaints from motorists who say they have paid their charge at the time. A sizable number of these complaints come from car parks run by Excel/Vehicle Control Services, but companies such as ParkingEye are involved as well. Excel refuse to accept there is any fault with their machines and have started several court claims despite being informed the motorist paid. The Prankster is aware of a number of faults with the Metric Parking ticket machines used by Excel and ParkingEye. a. If a motorist pays but the machine failed to issue the ticket due to a fault, or thought it had failed to issue a ticket (even if it had) the machine would not refund the amount paid and would remove the transaction from the local store. Thus, the motorist has paid, but the operator has no record of this . b. Another problem occurs if there is a communication fault when the machine tries to send data back to the central office. In this case the machine sometimes overwrites all or part of the data. This means it is never sent back to the operator, who therefore record one or more motorists as not having paid. In addition to these known flaws with Metric Parking machines there may also be unknown flaws in Metric Parking’s machines, as well as flaws in the operators back-office software. Sadly operators stick their head in the sand and refuse to admit these errors. 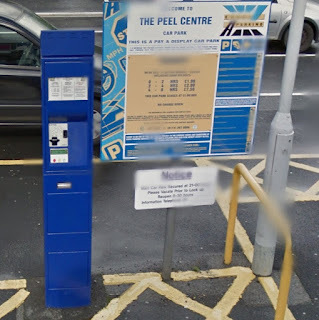 ParkingEye, for instance, are well aware of both of these flaws with the Metric Parking machines but still continue to use them and refuse to declare these problems in relevant POPLA appeals or court claims. 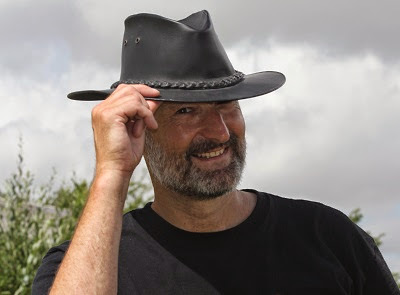 The Prankster calls on companies like Metric Parking to make publically available any known faults with their machines so that motorists are fully informed, and for operators to declare these faults in appeals and court claims. The Prankster has contacted Metric Parking and awaits their response. I wonder if HM Revenue & Customs would be interested in the under-declared income in respect of VAT and Corporation tax. I went into one of their car parks in the lakes, and for a system that should be so simple (pay on exit only needs a barrier system, the same as apparently a time limit only needs a watch...) they have made it almost impossible to understand. We saw lots of people scratching their head trying to pay on arrival... but at least I had been forewarned of that issue. That didn't help me much when I came to pay as I left though... You see, as I typed my reg number in, it kept asking me if a slightly different number was mine.. I correctly kept saying no to this, as it differed by one digit and I know how pedantic parking companies can be if you get one digit wrong. So unfortunately I could not pay. Knowing what crooks parking companies are I went to the visitors centre at the location. When I said what had happened, they pulled out a long list of vehicle registration numbers and added my REAL number to the end. I paid them an estimate of what was owed and left... Still half expecting to get an NTK in the post. Two experiences with "Park with Ease". First one, machine didn't accept payment at all. It was happy to chew up coins without acknowledging that the charge had been paid and declined the credit card. I am still waiting for the parking charge letter from that one. The one I do have a nice £50 charge for, we stopped to take a look at a map to decide the best place to start the next walk. I hadn't appreciated the 10 minute deadline you had in order to do something like this. So here is my £50 fine letter for the 14 minutes and 6 seconds this took. I appreciate ignorance is no excuse but £50 for 4 minutes and 6 seconds parking. Id like to say you must be joking but it's really not funny. Shame Esther Rantzen isn't still doing "that's life". Shame the national trust doesn't have anything better to spend the money we give them on.